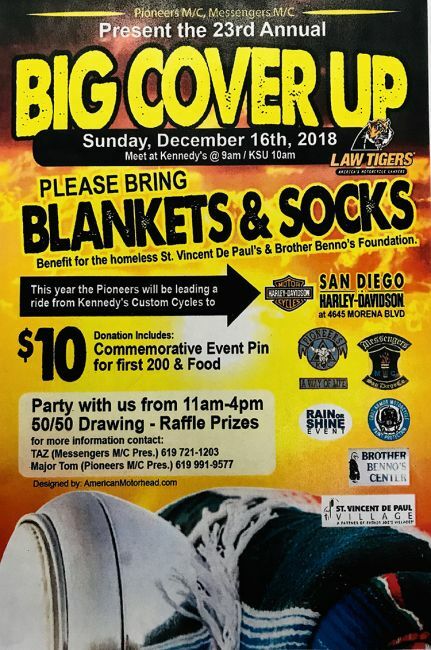 The ride will start from Kennedy's Custom Cycles and end at San Diego Harley-Davidson. $10 donation includes commemorative event pin for the first 200. Celebrate 11am-4pm with food, drinks and music!